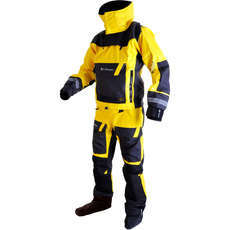 Drysuits specifically made for yacht sailing endure extreme environments such as the Southern Ocean and the Arctic Circle therefore need to be made out of the finest materials to ensure safety, warmth and durability. Many feature hoods, multiple pockets, tool straps along with either latex or glideskin neoprene seals ensuring a 100% waterproof garment. 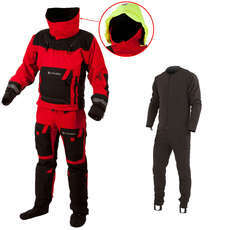 Reflective components are also used within the design of yachting drysuits to ensure high levels of visibility in poor light conditions.